to teach people how not to need it. If an ache, pain or other obvious symptom has prompted you to begin chiropractic care, the first thing you want is to feel better. Office visits will be frequent and your adjustments may be combined with other procedures to help offer relief. Depending upon your age, condition and lifestyle, repeated visits over weeks or months may be needed to reduce or eliminate your symptoms. Muscle and other soft tissue damage often remain after your original symptoms have improved. 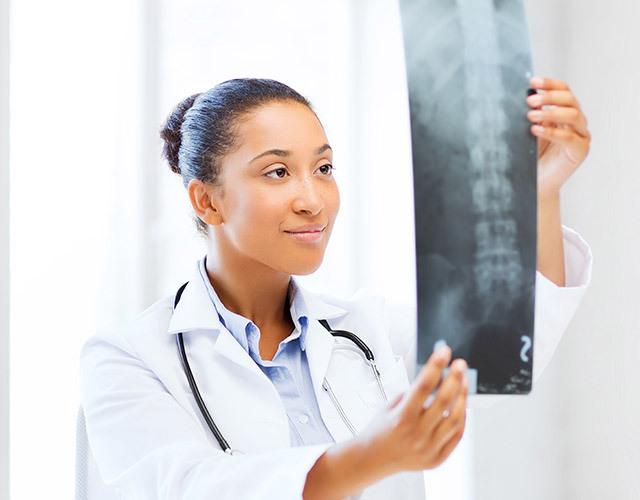 Rehabilitative care stabilizes your spine and promotes more complete healing. Visit frequency is reduced and you may be encouraged to supplement your care with exercises or other self-care procedures. With your ache or pain gone, true healing can occur. This phase of care is no less important to stabilizing your condition and continuing to improve your health. Stopping rehabilitative care may lead to a relapse if not followed through appropriately. When spinal correction is reached, chiropractic “check ups” can help preserve and maintain your progress. Occasional visits can help catch little problems before they become serious. Wellness-minded adults choose this type of care for themselves and their children. Like other preventive health measures, Maintenance Care saves time and money by helping you stay well. We Restore, Revitalize & You Can Rely on Us. Please contact us with any questions or concerns about your health. We will be more than happy to discuss how our various treatments can help you become well again. “Dr. Mike” received his Doctor of Chiropractic degree from Logan College in 1994 and holds a Bachelor of Science degree from McMaster University in Ontario, Canada. Dr. Mike has focused his practice in the treatment of musculoskeletal, acute/chronic injuries and pain of the spine and extremities. His treating philosophy is to identify the “route cause” of the patient’s pain syndrome or injury. He entered his practice with his wife in 1994 and has since become credentialed to perform Manipulation Under Anesthesia (MUA) Procedures. 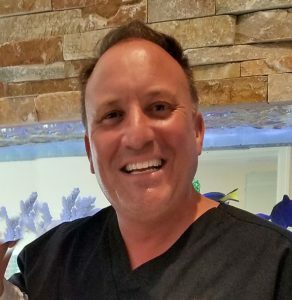 Dr. Mike has extensive experience as a Manipulation Under Anesthesia Certified physician holding privileges at Central Phoenix Surgical Center. He has performed over 1,000s of MUA procedures and trained physicians in MUA. Due to his experience and integrity; he serves a board position for a local ambulatory surgery center (ASC) that is a Medicare approved facility and accredited by the Accreditation Association for Ambulatory Health Care (AAAHC). Dr. Castrichini is an avid sports fan and enjoys going to Mexico with his wife and four children. “Dr. Christine” received her Doctor of Chiropractic degree from Logan College in 1994. Additionally, she received a Bachelor of Science degree from the University of Illinois. She has over 120 hours of advanced training in functional medicine and clinical nutrition. Channel 12 has interviewed her for her work with natural hormone replacement therapy and she’s been features in a cover story in Chiropractic Products Magazine of the dynamics of her practice. She has a passion for changing her patients’ lives for the better by using natural and functional therapies. Dr. Chris likes traveling and spending time with her family. Dr. Jae K.Chang is a licensed Chiropractic Physician. He is originally from Chicago, IL and graduated from the University of Chicago with a BA in Economics. He received his doctorate degree from the National University of Health and Sciences. After graduation, Dr.Chang completed his associateship training at Wong Family Chiropractic in Honlulu, Hawaii. The Chiropractic clinic was one of the largest clinic in the country and Dr.Chang helped manage over 1000 patients in a week. During his training, Dr.Chang learned about how to provide numerous treatments including chiropractic, exercise, and nutrition to a large body of patients. After his associateship, Dr.Chang went on to start his own Chiropractic clinic in Hawaii and he launched and built a successful practice for the next 4 years. Dr.Chang’s interest in new latest hi-tech non-invasive treatments led him to discover the use of laser and spinal decompression technology in treating severe chronic spinal conditions such as herniated discs, spinal stenosis, spinal degenerative disease, neuropathy, etc. He completed his internship training at Non-Surgical Spine Care Center in Orange County, California. The clinic was one of the largest spinal decompression clinics in the country. When he moved to Seattle in 2007, Dr.Chang opened up a new Non-Surgical Spine Care Center Norwest Division. At Non-Surgical Spine Care Center, a group of doctors highly trained and skilled at providing safe and effective non-surgical treatment option to patients who experiences serious, chronic neck and back pain through new revolutionary FDA cleared spinal decompression technology. Dr.Chang is certified in Deep Tissue Class IV laser therapy through American Medical Laser Association and also certified in spinal decompression therapy through Kennedy Spinal Decompression Therapy Association. His practice philosophy and goal is to help patient avoid spinal surgery and help them regain health and enjoy living a pain-free life. Dr.Chang also has been incorporating nutrition and weight management in his pracitces. Since 2014, Dr.Chang has been helping hundreds of patients lose weight all naturally and rapidly utilizing doctor supervised weightloss/management program called Chirothin Weightloss program without using medications, shots, or any processed food. On average, patients were able to lose 20 to 35lb in just 6 week without any side effects! Moreover, the patients who lost weights initially were able to keep them off for long time via establishing a new set point. Dr.Chang likes to practice what he preaches so he himself lost 12lb in just 2 weeks to not just lose weight but control his hypertension and were able to maintain the same weight for nearly three years now. When he moved to Arizona recently, he was very excited to offer Chirothin Weightloss program to those patients who wanted to transform their health dramatically and naturally! Babara Francis is an Adult and Gerontology nurse practitioner certified by the American Nurses Credentialing Center (ANCC). 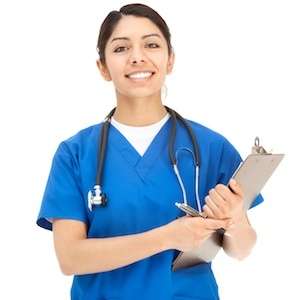 She has 25 years of nursing experience working in various aspects of nursing. She entered the nursing field as a Licensed Practical Nurse and with determination and hard work reached her goal to become a nurse practitioner. Babara is a graduate of the University of Alabama in Birmingham. She also holds a MSN/ED from the University of Phoenix. Her scope of practice involves health promotion, disease prevention, diagnosis and management of common and complex health problems. Babara believes in holistic care and so obtains a comprehensive evaluation on all her patients to deliver the best quality care. She takes time to listen and understand their needs and empowers them to actively engage in their healthcare decisions. This allows for better adherence to treatment plans, positive patient care outcomes, as well as building a trusting and supportive patient provider relationship. Barbara’s desire is to deliver culturally sensitive care to all and create lifestyle changes that will support better health. Her goal is to make a difference in the lives of those she serves. 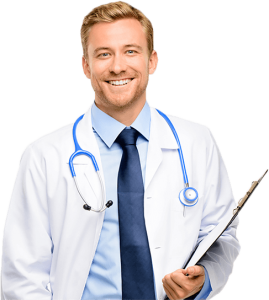 All doctors are active members of the Arizona Chiropractic Association. They are dynamic presenters and educators about many health-related topics and are willing and available to participate in your company health fair or corporate wellness program. Please contact us with any questions or concerns about your health. We will be more than happy to discuss how our various treatments can help you become well again.